Anna University published the revaluation results phase-II on his aucoe portal. This result only for those who not getting revaluation results. How to Check Revaluation Phase-II Results? Done. You'll see your revaluation results. 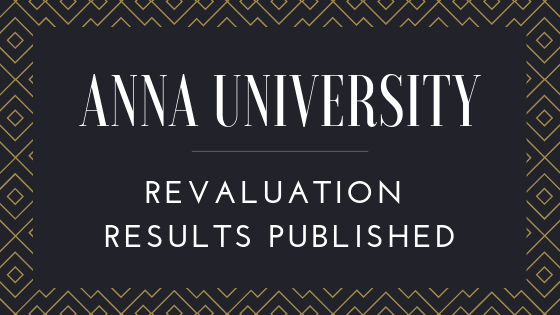 Note: Anna University revaluation review results will publish soon. Check updates on our Anna University Updates section.